During one of the most hectic weeks of the school year, many are not aware of the planning and hard work that goes into running Spirit Week. 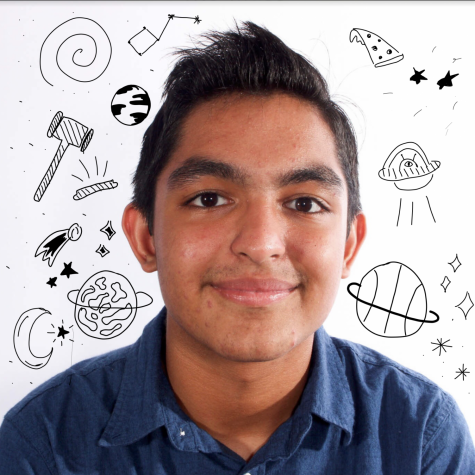 The Muse interviewed one of the co-presidents of each class council, providing insight into the preparation. When does your class council begin preparing for Spirit Week? Randolph- We started planning for Spirit Week around October. At that time, it was kind of laid back planning. We waited to do things for the pep rally in the future. Gao- We begin preparing for Spirit Week as soon as we are elected into our positions. Zimmerman- My council starts preparing for Spirit Week as soon as we are elected into our positions. 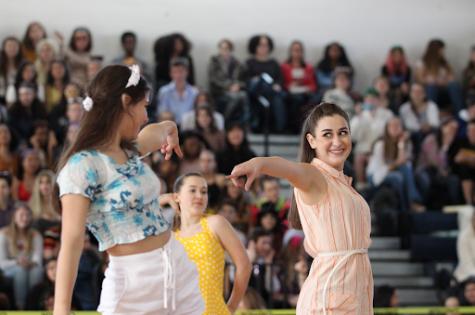 We usually start out by choosing our theme for the next year so we are prepared to begin the process of choreographing the dances, practicing the skit, and working with the singers. Correa- I’ve been Class Council president for two years, and we start planning as soon as we get in. We start really discussing and figuring stuff out by September, just so we have leeway. We start organizing who’s going to be choreographing dances and we just like to get a headstart just in case anything goes wrong. 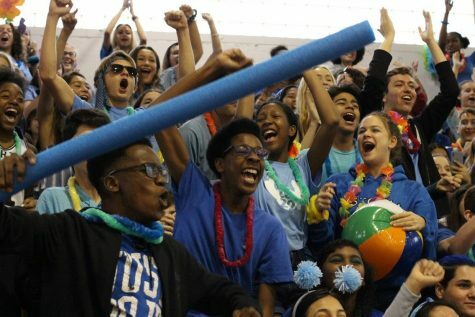 What is your favorite part about preparing for Spirit Week and why? Randolph- My favorite part of planning for Pep Rally week is to watch the progression of the dances, especially the powderpuff dance. It is so funny to see all of me and [my co-president’s] friends dance really bad. Gao- My favorite part of prepping for Spirit Week is actually getting to work with the council. It’s during this time that presidents have the ability to lead and actually work with our councils to plan this awesome week. Zimmerman- My favorite part about Spirit Week is working with my class. Yes, of course, the entire process is stressful, but having the dance choreographers, the singers, my co-president, and [foreign language teacher Thomas Ruth] by my side to help me makes it truly enjoyable all while bringing our class together. 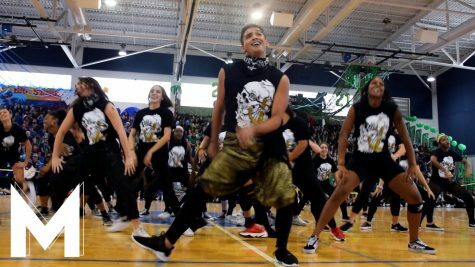 Correa- My favorite about preparing for Spirit Week is when you have people assigned for certain jobs—when you have people making the poster, or people who are doing the dances, or people that are going to do sidewalk chalk. Everyone starts bringing your ideas to you, and you can tell how excited everyone is. That is probably one of the best parts of being on the class council. You get to see everyone really be in their element and really feel that school spirit that Dreyfoos is so well known for. 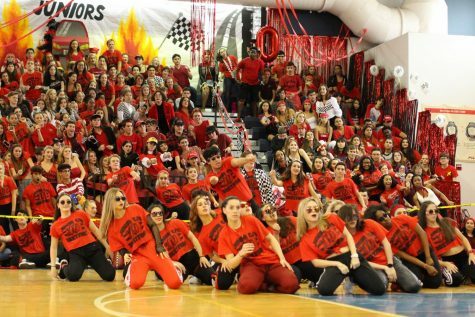 What is your least favorite part about preparing for Spirit Week and why? Randolph- My least favorite part of planning is getting people to sign up for the games and activities. Most of the freshmen don’t have school spirit yet, and they don’t know how exciting Spirit Week is. Gao- My least favorite part of prepping for Spirit Week is when someone is unresponsive, or flakes. Zimmerman- My least favorite part about Spirit Week is nothing. Correa- My least favorite part about preparing for Spirit Week is the fact that it is a really busy time of the year, especially for seniors. There is a lot of people who are dealing with makeup exams because they have been going away to colleges for things such as auditions. People will sometimes drop out of events last minute, but, thankfully there are people who are happy to make up those spots. But definitely, it is hard to have a lot of people dropping out of spots. How does your council delegate responsibilities? Randolph- Our council divides our responsibilities by me and [communications freshman] Hannah [Baldwin] choosing who needs to do what. For example, Hannah and I are in charge of all of the dances, while the rest of the council finds people to design the chalk drawing, make the posters, buy decorations, and find people for decorations. Gao- Our council delegates responsibilities, aside from stated duties, based on ability and willingness. Zimmerman- At the beginning of the year, [communications junior] Mara [Vaknin] and I assign each person or a duo a specific part of the Pep Rally process, whether it being the skit, singing, [or] Powderpuff, and they work on every aspect of it in the beginning months of school. Then, throughout the year, Mara and I attend the rehearsals to make sure everything is running smoothly also while organizing the main dance. Correa- We really delegate responsibilities for Spirit Week based on a class council member’s major. For example, my treasurer is a vocal major so she’s helping with karaoke. Our historian helps with class announcements and posting on social media. We delegate based off of our strong suits. As a result, we can divide and conquer and take on Spirit Week. What do you think your class council does best and why? Randolph- I think what we do best as a council is our ability to work as a team. If even one person was not there, we would be screwed. Every single member is so valuable and helpful. Gao- Our class council works best at communicating and actually getting the job done. 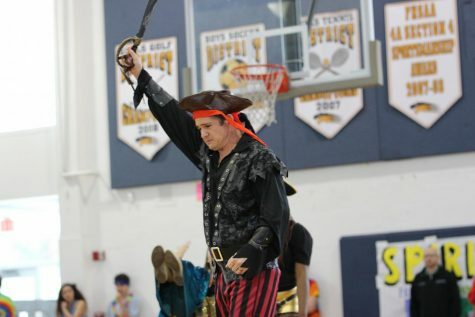 Zimmerman- I think my class does best at the “spirit” aspect of the Pep Rally. Our class is motivated, encouraged, and determined to do well and I love that. We all get so into Spirit Week and strive to do our best and always shoot for first place. Correa- I feel like my class has a lot of differences, whether it is a differing opinion or belief on how we should approach an idea or concept. My class, in the end, really cares about each other and what we do. We love to see each other succeed. My class council, along with the entire class, is the best for that reason. Regardless of the past history or “beef” that you have with someone, when it comes to senior activities or school-wide activities, we will always come together as a family. That is the most important part of having class councils. 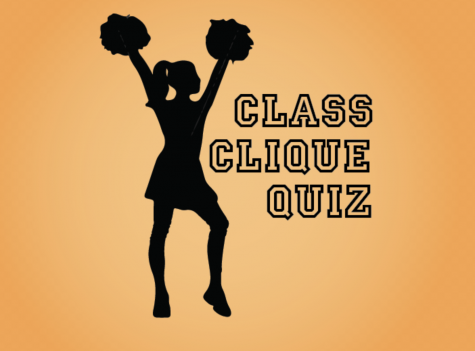 WHAT HIGH SCHOOL CLIQUE ARE YOU A PART OF?